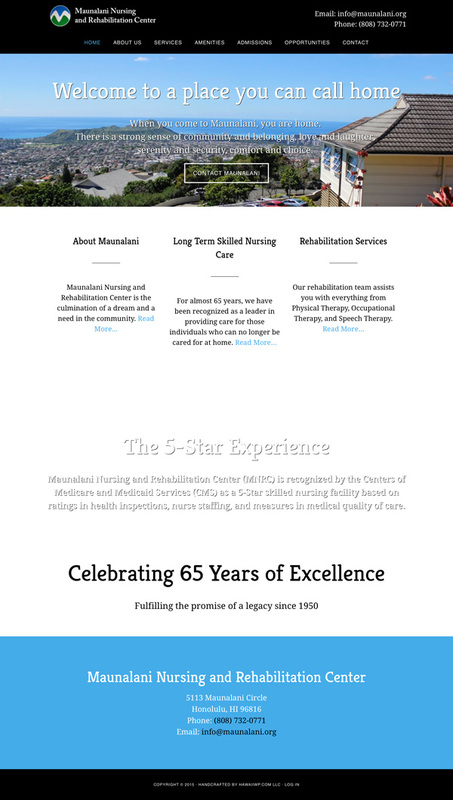 Maunalani Nursing and Rehabilitation Center was barely surviving with a makeshift web directory site. They needed a place to call their own. They needed somewhere hospitals and doctors could send their clients. Now they have a beautiful website that will drive new clients to their services. If you have ever been up to their facility, it is magnificent! And now they have a website to match.